HTC is known for great work in the design of their smartphones and has been winning accolades for their all metal One series. The design and hardware is quite a great work of art. But selling doesn’t end there. It’s a commonly known fact that HTC lacks seriously in the marketing department, something they have also acknowledged. According to Chairman Cher Wang’s interview with Businessweek, Wang noted that HTC needed to communicate with customers adding that he believes that if HTC can communicate better the struggling company will do better. HTC has been bleeding red ink with three straight quarters of losses even with the great designs mainly due to distribution, manufacturing and marketing hiccups. They seem to be doing well where manufacturing and components are concerned, but marketing and distribution is still lacking. Marketing is their current new plan to success as they want to tell their story better and to more consumers. 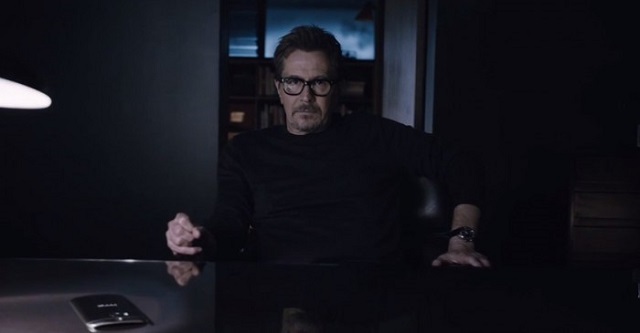 That’s why they hired Gary Oldman to some quite interesting video after the launch of the HTC One M8 that was characterized by a lot of bla bla blas and phrases like “Go ask the internet”. Things have become even more interesting with an onslaught in the hiring department and fished out Paul Golden who is former Samsung Mobile USA Marketing Head. Goldman is said to be contracted and will be reporting to Chairman Cher Wang. Goldman was very instrumental in greating the Galaxy brand that has grown to the point it even threatens the Android brand. Let’s see if Paul will keep the Taiwanese company from sinking and change things like “ask the internet” to “go out to the streets and check for yourself”, words Samsung is very fond of.